One of the most important and most intimidating things in language learning is practicing conversation. You can learn tons of new vocabulary, study grammar for hours a day, and still not be able to speak with a real person. Practicing conversation can be scary though. I can't count how many times my mind has gone blank when trying to speak with a native speaker. You can practice with other learners to lessen the pressure, but other learners may not be able to correct your mistakes, or you might start duplicating their mistakes. Duolingo may have found the answer. 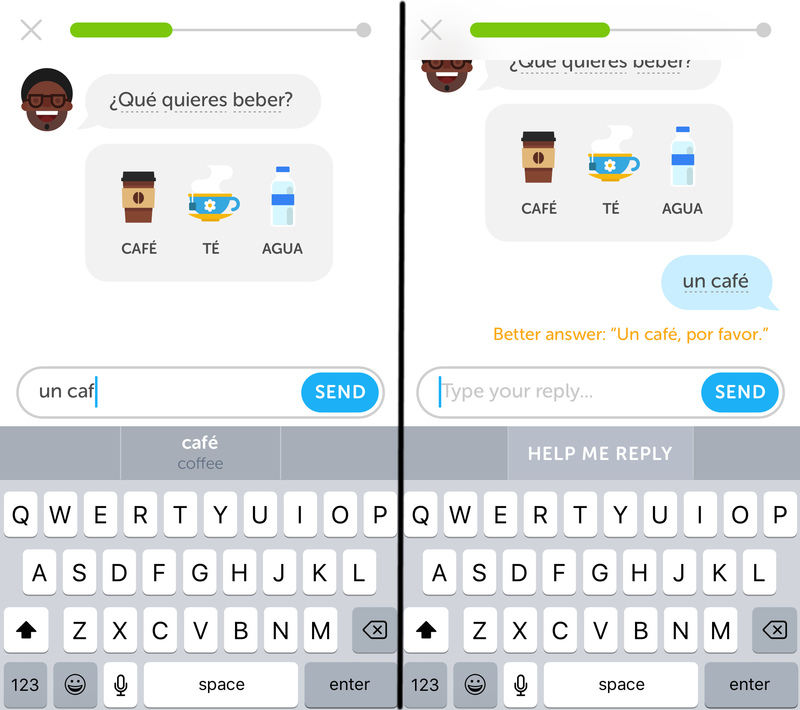 Duolingo Bots lets you chat with computer language tutors who are patient, won't judge you when you make mistakes, and give you hints when you are stuck. When I found out about Duolingo Bots I was super excited, well, until I learned one thing. It only works on the iPhone. And as much as chatting in French with chatbots sounds like fun, I like my Android phone and have no plans on switching. Duolingo does say they are working on other platforms, so I assume I can use my phone or web browser some time in the future. It's free. Free is nice. AI-powered bots get smarter the more you use it. "Help me reply" button is there if you get stuck. You can click on unfamiliar words to hear pronunciation or get definitions. You can choose from different bots to chat with. Practice ordering a pizza from Chef Roberto or take a ride with Renée the Driver. New bots will be added for a variety of language practice scenarios. iPhone only, though other platforms are on their way. Spanish, French and German only, though other languages will be added. Want to know when it becomes available on Android or for the web? Make sure you are subscribed to my newsletter. (You can do that below.) I'll send an announcement when Duonlingo makes this new feature available to more users.